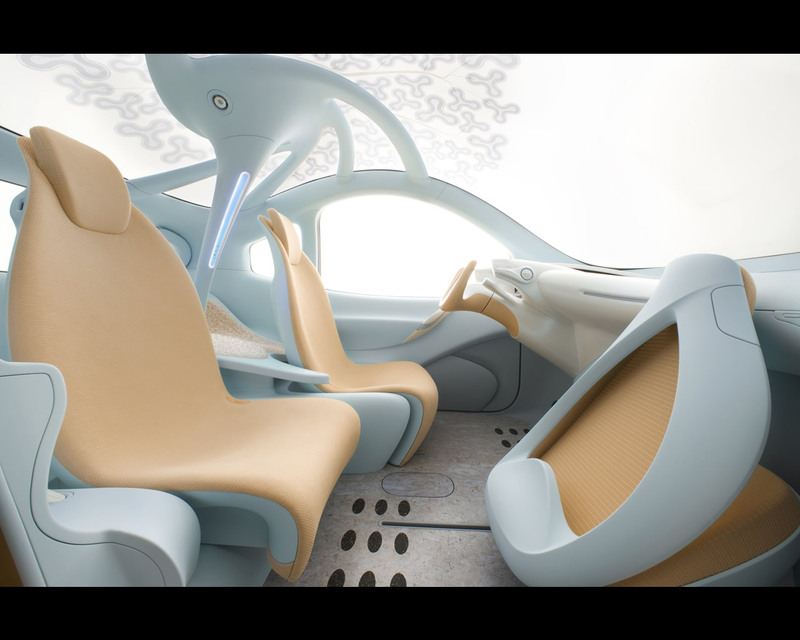 Nissan's vision for the future of urban transportation is encapsulated in the Nuvu Concept, a new view of the type of car we will be driving in the middle of the next decade. 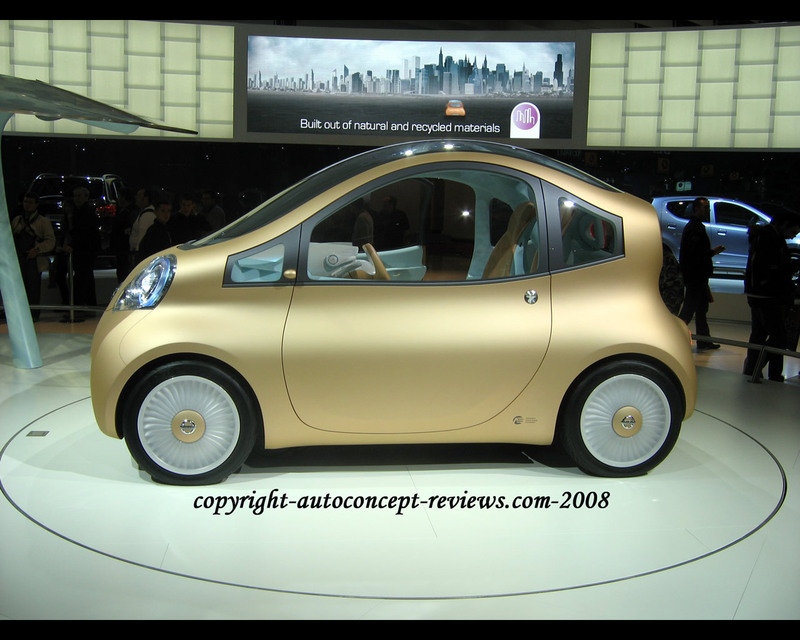 Compact - it is just 3 meters long - Nuvu is a concept vehicle with unique 2 + 1 seating.
" Nuvu is literally a new view at the future of the city car. It is electric, of course, but as far as Nissan is concerned, for tomorrow’s city cars that is a given. No, the most important aspect of Nuvu is the interior design which provides great comfort and space in an intelligent package designed to make best use of our crowded roads and limited parking slots." 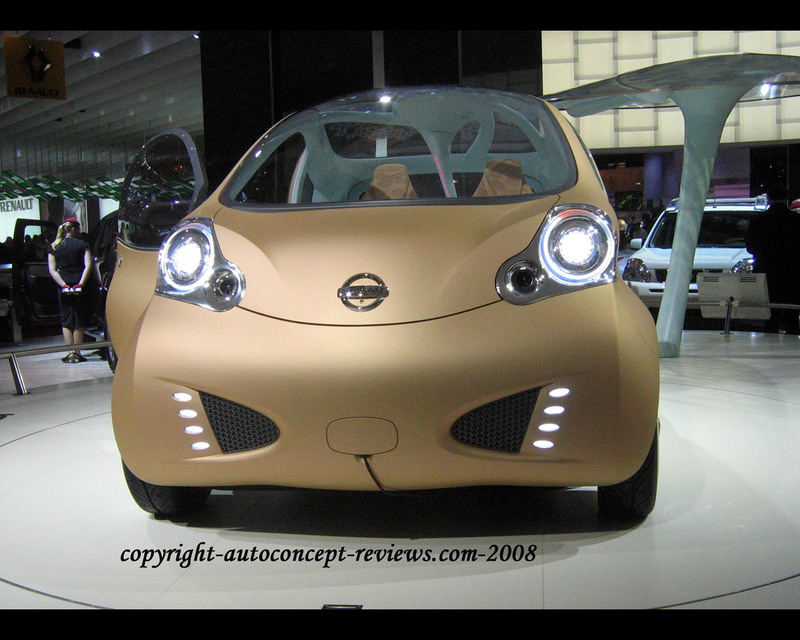 said François Bancon, General Manager, Exploratory and Advance Planning Department, Nissan Motor Co., Ltd.
Nissan has already announced plans to introduce an all-electric car in Japan and the United States in 2010 and to mass-produce it globally in 2012. The Nuvu Concept is not that car, though it does share some of the technology that will feature in the planned production vehicle. 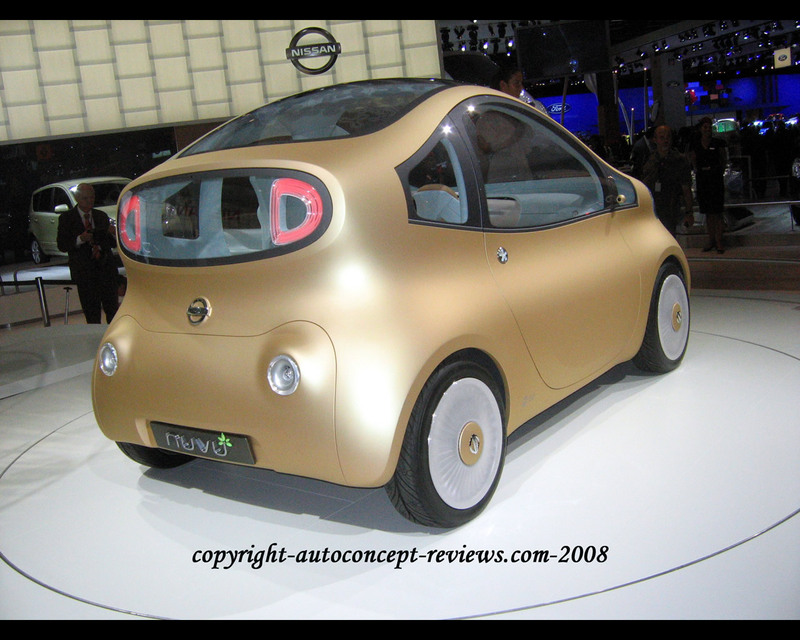 Rather, it is a concept of how a Nissan EV might look in the near future and it is a fully working mobile test bed for much of the technology that will be used in Nissan's production EV to be launched in 2010. For this reason some technical specification are being kept secret for the time being. The central thrust behind the development of the Nissan Nuvu Concept is not the motive power but its layout and use of space. 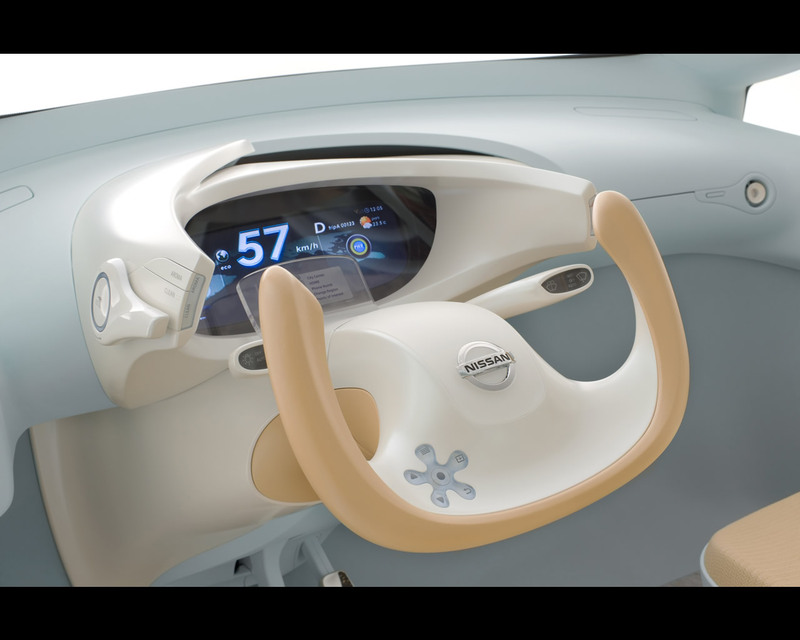 The Nissan Nuvu Concept is compact on the outside yet roomy on the inside. Built on a unique platform, it's just 3 meters long and sits on a wheelbase of 1980 mm but is 1700 mm wide and 1550 mm tall to create a large and airy cabin. 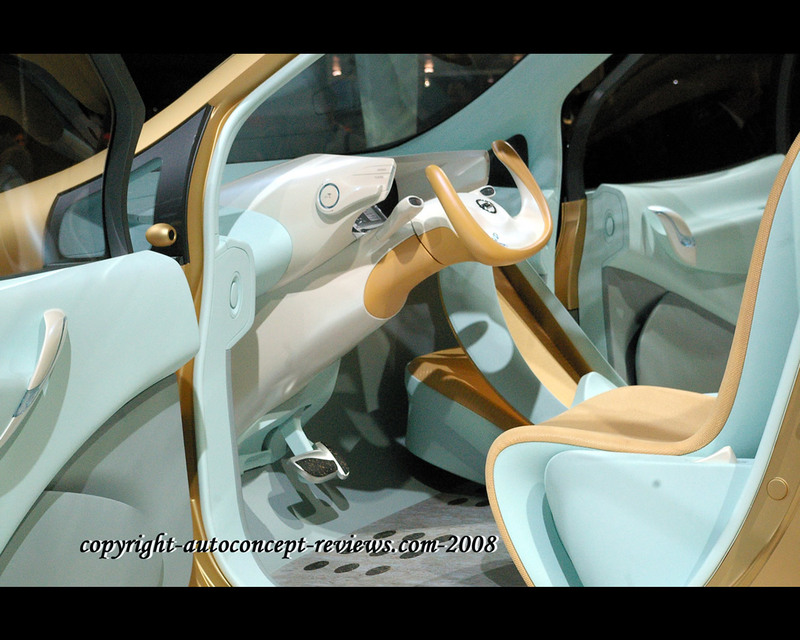 The Nissan Nuvu Concept has two regular seats and a third occasional chair that can be folded down when required. It is a thoroughly practical proposition with an integral luggage area providing sufficient space for a typical supermarket or shopping expedition. The packaging is designed to give priority to driver comfort with C-segment level of space and the flexibility to invite one or two passengers on board. The cabin layout places the regular passenger seat beside but largely behind the driver seat, allowing the passenger to stretch right out. Ahead of this seat is a third occasional chair which, when not in use, is folded away into the dashboard assembly. But even when the third seat is in use, there remains sufficient legroom for both passengers. 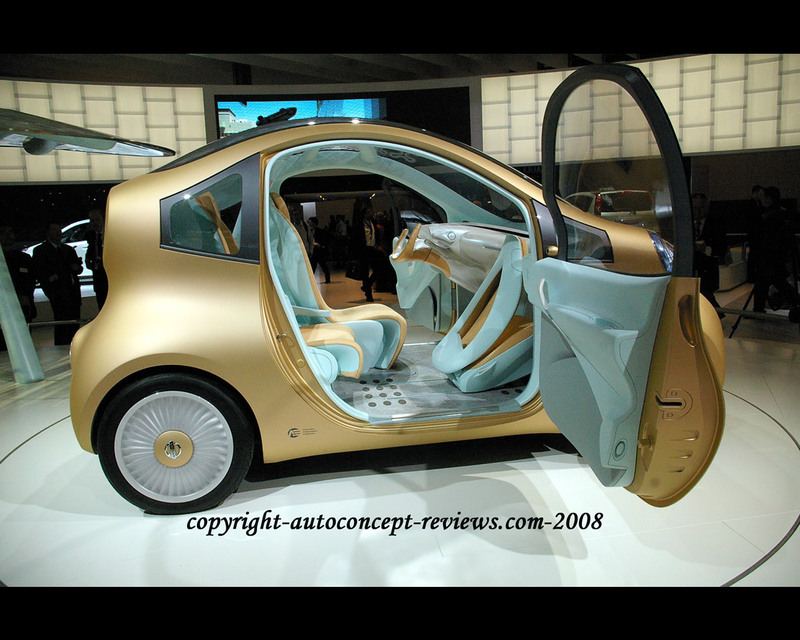 Undoubtedly the most unusual feature of the interior is the 'energy tree' which rises from the luggage compartment floor to the roof behind the driver's seat. The energy tree is shaped like a thin trunk and it branches out under the glass roof; covering the branches are dozens of small solar panels shaped like leaves. The panels absorb the energy from the sun which is then used to recharge the battery and provide extra power boost for the electric motor. It is estimated that the power generated by the solar panels will save the equivalent of one full overnight charge from mains electricity each month. 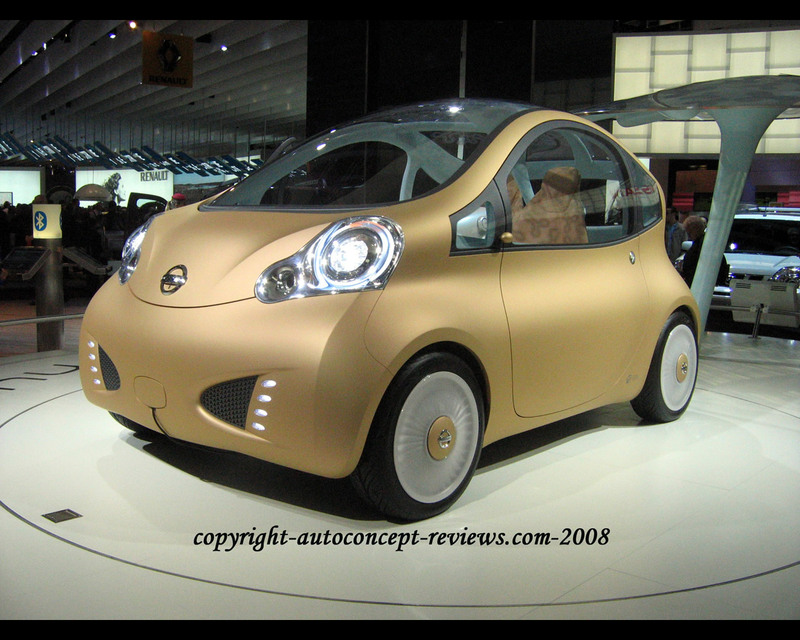 The electric motor used in the Nissan Nuvu Concept is mounted at the rear and drives the back wheels. A driving range of 125 km and a top speed of 120 kph are revealed. The battery is the latest laminated lithium-ion type and have a capacity of 140 kW/kg. Nissan started development on high output lithium-ion batteries in 1992, but today development is carried out by Automotive Energy Supply Co., a joint venture company set up by Nissan and NEC Corp.
Its compact size allows the batteries to be mounted under the seats and the vehicle's flat floor, thus helping to keep the centre of gravity as low as possible. A quick charge from empty to full should take between 10 to 20 minutes while a full charge should take between three and four hours from a domestic 220 Volt socket.